Dale Bruhn, age 88, of Mapleton, Iowa, passed away on Monday, January, 14, 2019, at the Willow Dale Wellness Village of Battle Creek, Iowa. A Funeral Service will be held at 10:30 a.m., Friday, January 18, 2019, at the St. Matthew Lutheran Church of Mapleton, Iowa. Rev. Chris La Boube will officiate. Committal Services will follow in the Mt Hope Cemetery of Mapleton, Iowa with Military Rites conducted by the Loren Hollister Post #496 of the American Legion of Mapleton. A visitation will be held from 5:00 p.m. to 6:30 p.m., with a Prayer Service at 6:30 p.m., Thursday, January 17, 2019, at the St. Matthew Lutheran Church of Mapleton, Iowa. The Armstrong - Van Houten Funeral Home of Mapleton, Iowa is in charge of the funeral arrangements. Condolences may be sent online www.armstrongfuneral.com. Dale Bruhn, born Dale Hansel, the son of Naomi Hansel was born on August 16, 1930, in Garber, Iowa. He was baptized on January 20, 1931 and later confirmed in the Immanuel Lutheran Church of Charter Oak on April 2, 1944. He was adopted by his forever family Leo and Helena Bruhn on December 26, 1932, and given the name Dale Irwin Bruhn. Dale attended Immanuel Lutheran School through the 8th grade. He went on to attended high school in Milwaukee, WI, Charter Oak, IA and later graduated from Mapleton High School with the class of 1950. During his high school years, he was active in football and track. In October of 1950, Dale enlisted into the United States Navy and served his country for 4 years before being honorably discharge. After being discharged from the Navy, Dale was engaged to Ruth Elaine Knop and the couple were united into marriage on November 26, 1955, in the Immanuel Lutheran Church of Charter Oak, IA. The couple farmed the family farm and Dale also worked as a farm hand until 1965, when the family built a house and relocated to Mapleton, IA. 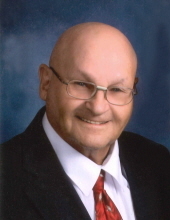 Dale began assisting his wife in the Amway Business, sold seed corn and later worked for B& F Jacobson Lumber Company for 25 years, retiring in 1994. Dale was a master carpenter building numerous items, and homes throughout his life time. He served on the Mapleton Zoning Board for many years and was elected to serve as the administrator of the board in 2000. He was an active member of the St. Matthew Lutheran Church of Mapleton where he enjoyed ushering and singing in the church choir. In August of 2013, Dale became a resident of Willow Dale Wellness Village of Battle Creek, IA, where he had resided up until present. Dale is survived by his wife of 63 years Ruth Bruhn of Mapleton, IA; 5 children and their families: daughter Cindy (Arlen) Kuehl, of Deerwood, MN and their 2 children Leah (Aaron) Garner and their son Gavin. Justin (Ashton) Kuehl; daughter Debra (Russell) Woodward of Castana, IA and their 6 daughters Emily Woodward and her children Dillon, Sophia, and Greyson., Alison (Tyler) Vellinga and their children Caden, Addilyn, Colin and Myles., Sarah (Andrew) Carlson, Katie (Eric) Earley and their daughter Magnolia., Laura Woodward, Lydia Woodward; son Alan Bruhn and fiancée Jackie Larsen of Mapleton, IA and his 3 children Calvin (Jessica) Bruhn and their children Presley, Hudson, Cooper, and Hadley, Jared Bruhn and friend Kortney, Kelsey (Jacob) Burger and son Boden; son Byron (Larry) Bruhn of Minneapolis, MN; son Evan (Karrie) Bruhn and their 3 children Kelby, Makayla and special friend Trevor, and Kinsey; foreign exchange student like a son Lope Seco from the Canary Islands and his wife Suzanna and their children Lope Jr. and Emil now of Abu Dhabi; sister Corrine Friedrichsen of Marshfield, WI; and numerous extended family and friends. He was preceded death by his parents Leo and Helena Bruhn; infant daughter Kathy Bruhn; and brother-in-law Bob Friedrichsen. "Email Address" would like to share the life celebration of Dale Bruhn. Click on the "link" to go to share a favorite memory or leave a condolence message for the family.